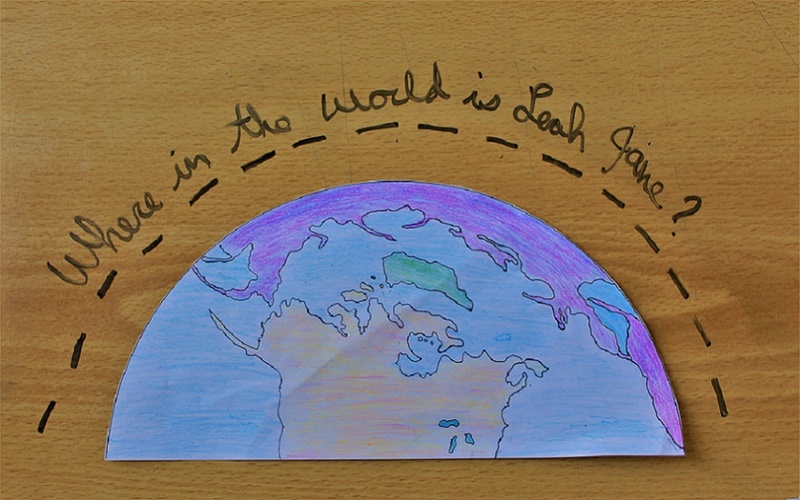 BTB – Where in the World is Leah Jane does Books! “Millions of “good” Germans did not like the Nazis, yet thought they were the less evil compared to the communists…Everything was still standing; life went on as before; but beneath the surface, something had changed.”– Inge Scholl on Germany shortly after Hitler’s election. Many people from my country know how fascist Germany fell. Over the decades, WWII has increasingly been presented in the good versus evil narrative. While this narrative may fit better here than with other wars, it tends to gloss over the presence of resistance in Germany. It consigns all Germans to the role of active supporter or coward. In Germany, for years following the regime’s downfall, The White Rose was assigned as required reading. The educators hoped that the bravery displayed in it, the choice to put others’ lives over country, even when that meant possibly losing your own, might help students do the same. They hoped children might recognize some of the warning signs if ever another regime such as Hitler’s tried to take control. The book itself is quite short, but gripping. It follows the development of The White Rose, an student-lead underground resistance from its inception to its downfall. Sophie and Hans Scholl grew up in Hitler’s youth groups. They watched the environment turn from celebratory to one of censure– where young people,and their family, were scorned for expressing doubt in the regime, discomfort with its rhetoric against Jewish people. As the two grew older, they became more and more disenchanted with the government, more suspicious of the narrative they were being sold. When they reached university, they joined with others to form the underground resistance. At this point in time, many were confident Hitler would only fall with military action, and perhaps the Scholls agreed, but during a time when so many had given into apathy, the Scholls felt it their duty to resist using any means possible. For them, the question was not whether or not they supported the regime but what resistance meant in practice. How could they resist? How could they encourage others to? The White Rose was born from defiance, anger and conviction of morals. What started with surreptitious meetings with like-minds; meetings where they could share texts from forbidden philosophers and writers and rail against the loss of freedoms and death which surrounded them. Even those meetings might be enough for imprisonment or death, but the group decided it wasn’t enough.With the aid of other students, and a professor, they began putting together pamphlets which they scattered about different cities in Germany. Every time they traveled to place them in mailboxes of random people or leave them in front of university classrooms, they risked their lives. These pamphlets reassured others that they were not alone. They denounced the regime for its cruelty and appealed to German citizens’ humanity. One specifically outlined how to resist passively, instructing readers “to concentrate upon what was attainable…” and resist in small ways each day. When the Scholls were arrested after throwing pamphlets from the University steps, they knew they would be sentenced to death. They did not waver in their choice. From the record of their, and others’ testimony, the prosecution described the resistance as both child-like and devious; in competent and dangerous. As I read it, I could help but recognize echoes of this in today’s characterization of organized opposition. 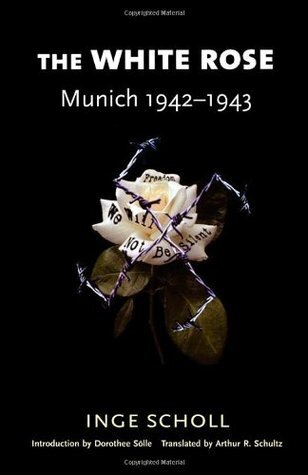 “It would be wrong to see the action of the students in Munich in the period 1942-43 as a noble deed in the abstract. I twas concrete, and its goal and starting point were concrete…we should look upon [what they did] as a singular instance. “It was an instance in which five or six students took it upon themselves to act while the dictatorship was totally in control; in which they accepted the lonely burden of not even being able to discuss these matters with their families; in which they took action even though the omnipotent state allowed them no room for maneuver; in which they acted in spite of the fact that they could do no more than tear small rifts in the structure of that state– much less blast out the corner stones. Near the end, The White Rose includes an account of Sophie Scholl’s last days from the view of a fellow prisoner. It is heart-wrenching. As I read, I wondered if I could ever be as brave as Sophie Scholl was, even as her death drew near. We all like to believe we’d be on the “right side of history”. We like to think we’d be the hero, but when people are disappearing everyday; when executions are carried out for reading the wrong text or protecting another person, could you really say you would lay down your life for your morality? Authoritarianism relies on fast movements and a cocktail of xenophobia and forced-nationalism. It assumes that with enough violence and mistruth, people will simply give up. That this small group would sacrifice their lives to save the German soul is exceptional. Many have suggested a dark shadow has fallen over our world recently. Some say this reflects in the literature we consume and, indeed sales for dystopian tales like 1984 and The Handmaiden’s Tale have risen. Both these books are speculative horrors, neither offer the surety that comes with knowing evil has been defeated. The White Rose is similarly sobering. It is only through knowledge of history that we know the Scholl’s won and, as Sophie Scholl said to the judge before her death “Soon you will be standing where I now stand.” The White Rose offers readers the heroes of a good story, but more importantly, it offers some guidance for the non-heroes, the people who picked up the pamphlets from their mailboxes and felt a little less alone. Colson Whitehead’s novel the Underground Railroad relays the story of a Cora, a slave whose mother is purported to be the first and only slave who escaped to freedom on her plantation. This legacy follows Cora for the entire novel and in some ways is the reason for her escape and for her troubles on the Underground Railroad. Unlike other novels tackling this subject matter, the Underground Railroad is not a network of people hiding behind code words– though the author does include a clever reference to towards the end of the book– but an actual, literal railroad. The consequences of this switch from information network to physical path crop up from time to time throughout the novel. At times, they allow him to switch the focus from Cora’s escape to the culture that pervaded the United States at the time. Whiteheads’ recount of pre-civil war America is blunt, unwavering and, perhaps, even cynical. This cynicism is most memorably captured in his motif of darkness. In the beginning of the novel one of the conductors of the railroad tells Cora “If you want to see what this nation is all about, you have to ride the rails. Look outside as you speed through, and you’ll find the true face of America.” It is only later that Cora realizes , through riding rails again and again that the true face of America is the darkness inside them. As Cora continues her journey North, her understanding that “one might think one’s misfortunes distinct, but the true horror lay in their universality” is only reinforced. The myth of the North outshines its reality. Even characters’ who help Cora have their vices laid bare: perhaps they envision themselves the white savior of what they call a ‘lesser people’; perhaps they are cowards; perhaps they desire too much, too fast; perhaps they don’t fight at all. He does sprinkle strands of hope through the novel. They are often shredded, sometimes even moments after they are delivered. This leads the reader to guard their hope and tamp it down, much like the main character of the novel. I cannot truthfully say that this novel was a hopeful one and I’m not sure I could use the word “enjoy” to describe my experience with this novel. Nevertheless, I recommend it. It is skillfully written. 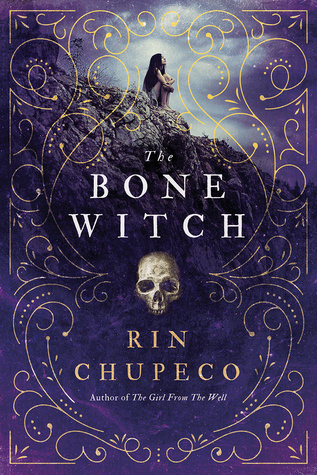 I actually gasped, exclaimed even, during some parts of the book. Whitehead plays with the readers desire for the main characters’ success. He lulls you into a calm, albeit a tense one, then wrenches any security you felt away from you. In terms of building suspense, Whitehead succeeded, I hovered between anxious and horrified through the entirety of the novel with only one moment of true calm. The structure of the novel may bother some as he jumps between characters and moves back and forth in time, but it never seemed he did so without reason. In fact, he would often add a new character chapter right before an important event. For someone who is often a character-driven, world-driven reader, this technique worked well for me. Don’t be fooled by the back flap description, there is only one true main character in this story: Cora. Some have complained that the style of writing, coupled with Cora’s reactions to obstacles, hardships and tragedies, removed them from the story. They felt unable to sympathize with Cora’s plight because she– or the narrator– relays events in a distant manner. While I understand their perspective, I didn’t feel bothered by this. On the contrary, I found her reactions realistic and varied. For me, Cora is sustained by a mix of defiance, resilience, bitterness, regret, desperation, and hope. Her perceived stoniness is a result of the atrocities she has bore and witness, but it is not all she is. The villain, Ridgeway, is not the typical story villain. He is to “return escaped slaves” through a much more sinister form of hatred and racism. His belief in the order of the world is an almost effortless, lazy acceptance that slavery exists for a reason and the “institution” was infallible. To be sure, Ridgeway hates a number of plantation owners and is disgusted with them. He is aware of the cruelty, he recognizes it and he participates in it. His conversations with Cora are underlined by the specter of “practicality”. He admits the system is cruel, but he actively benefits from it. This, for me at least, was what made him the more terrifying villain. That he found atrocities an acceptable method to achieve personal goals, that he was clever enough to understand it and to find ways to benefit from it. Ultimately, it is his pride that leads to his obsession with Cora not his desire to protect a system. Sorry, this is something that has annoyed me about some other reader reviews I’ve read. They have claimed that particular scenes where in black bodies are harmed by doctors are inaccurate; that they have no basis in history. In fact, they are not inaccurate. Perhaps you could argue they are anachronistic– I’ve only read accounts occurring after the time period the story is written in– but you can not argue that comparable things never happened to black people in the U.S.. So, I’m doing a TBR list. We will see how laughable this decision is next month when I discover how closely I followed my plan. I am very much a book flitter;I flit between books. Plans do not work for a free soul like me. Actually, plans are the only thing that get me through most days, but let’s ignore that. Back in the Fictionpress days (Fictionpress still exists, Leah), I used to take twenty minutes of our precious dial up diligently loading new chapters from an epic, sprawling novel called Queen of Glass. Later that novel I adored so much became Throne of Glass, and the sequels. To my disappointment, I felt less than enamored with it. I expected a grand adventure, what I got was mainly a romance. Now that I’ve readjusted my expectations, I am willing to give Maas a second chance. People have described this book as one of the most positive of 2016 and, let’s be real, after the year we’ve had, we all need a little bit of positivity. 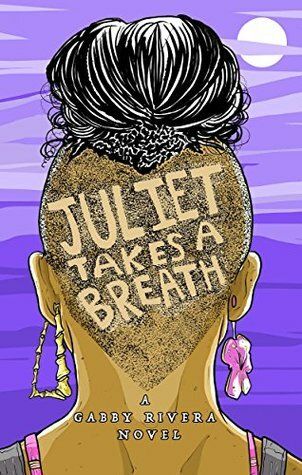 The main character, Juliet, has recently moved away from home after telling her parents she’s a lesbian. Now in Oregon, she’s landed her dream summer internship, but she still hasn’t figured out how different parts of her identity– Puerto Rican, Lesbian, undoubtedly other elements I don’t know about yet because I haven’t read the book— fit together. The White Rose was an underground organization in Munich, comprised of students and professors, dedicated to opposing Hitler’s fascist regime and the atrocities committed under him. Now the sister of two of its founders has compiled letters, flyers and stories into this volume to preserve an account of courage in the face of horror. History, for me, has always been a collection of stories and I’m hoping to spend more time this year learning them. 1849. A young girl dreams of going to New York to become a musician. But life doesn’t afford many opportunities for Samantha, a Chinese girl, living in Missouri. Samantha discovers how many difficulties society can erect after the tragic loss of her father. Now in danger, she is forced to flee. With the help of a runaway slave named Annamae, she leaves Missouri behind. The two invent new identities, Sammy and Andy, and head west for the gold rush. On the run from the law, the two form a deep bond. 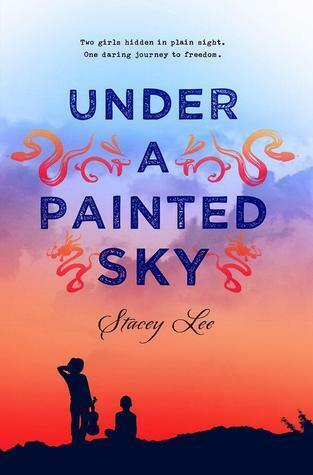 Stacey Lee, one of the founders of #WeNeedDiverseBooks, debuted with this book two years ago. I’m only catching up now. others might control the Air or the Water, Tea can control the dead themselves. This makes her feared but also powerful. 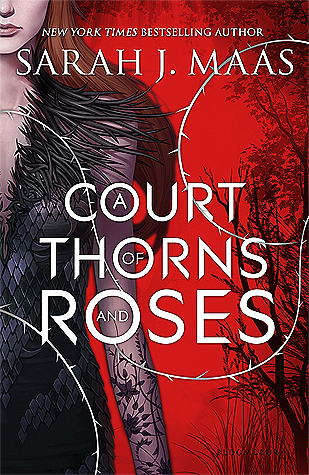 Now with the eight kingdoms on the edge of war, Tea must hone her skills to defend her family and her home. Mixed reviews on this one, but the concept is just so intriguing. This one will be released this month so it depends entirely on my ability to get it from, y’know, another country. I’ll admit it. I picked up Everything , Everything after watching the trailer with Amandla Stenberg. I am not ashamed.I listened to the full audiobook in about a day. This meant I missed some of the graphics and added art, but I console myself with the amazing reading by Bahni Turpin. Being someone who does not read contemporary often, I had no expectations but, in spite of some of its problems, I enjoyed it. Madeline, Maddy really, owes her life to HEPA filters, decontamination rooms, her nurse and her mother, the doctor, who helped diagnose her with Severe combined immunodeficiency or SCID. For much of her life she is content with her books, architecture classes and games of honor pictionary with her mother. Then a boy moves across the street. Nicola Yoon penned some memorable moments and charmed me with her main character. Maddy’s voice is so pleasant to read listen to that I didn’t even mind when her and the boy’s, Olly, relationship teetered toward the border of instalove. Everything Everything has been heralded by some as one of the best reads for representation of biracial characters (Madeline). Madeline’s race is neither ignored/tokenized nor is it made her most defining feature. On the other hand, Yoon’s plot choices and those choices effects have been sharply criticized by some who face similar health challenges (spoilers on this site). Yoon tried to tackle some pretty big themes in Everything Everything, and how these themes are handled are usually front and center of the criticisms. The book after Olly revolves around Maddy’s internal conflict, namely the choice between risking her life and living a life full of wanting to do things she cannot. The post-Olly part of the book is scattered with quotes like: “Just because you can’t experience everything doesn’t mean you shouldn’t experience anything.” and You’re not living if you’re not regretting.” and “I was happy before I met him. But I’m alive now, and those are not the same thing.” or even “There’s more to life than being alive.” Yoon wrote so many lines like that I felt as if she reached her hand out and pasted “grow and live” across my forehead. It is fortunate, for most of the book, that these are only scattered and Yoon has a number of other strong lines and quirky moments that are classic contemporary YA. What is unfortunate is the message she spent so long constructing, the internal struggle Maddy spends most of the book struggling with, is perhaps a little cheapened by the end.